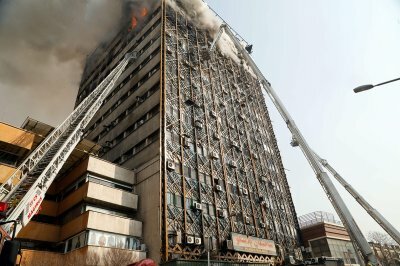 Host Andy Steele is joined by civil engineer Roland Angle and Dan Barnum, FAIA to discuss the fall of the Plasco Building in Tehran, Iran on January 19th, the indicators they see that explosives may have been used in its destruction, and how it relates to the 9/11 controlled demolition evidence. This show was broadcast on January 26, 2016. This entry was posted on Thursday, January 26th, 2017 at 11:51 am	and is filed under 9/11, 911 Free Fall, Anti-War, Education, False Flag/Fake Terror, Freedom, News. You can follow any responses to this entry through the RSS 2.0 feed.